People often use flowers to express a message that words can’t describe. Regarding this, alstroemeria flower is considered a good representation. 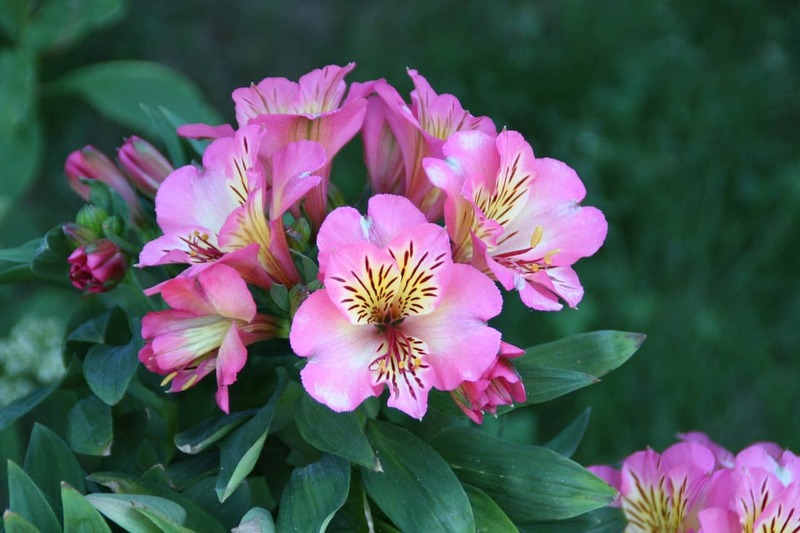 Alstroemeria flower meaning varies widely and can be used in everyday lives, from showing a friendly message to motivating someone who needs moral support. Alstroemeria pelegrina is also known as several flower names, such as wild orchids, Peruvian lily, or lily of the Incas. Originated from Peru, South America, this flower is a member of a liliaceous plant from the genus Alstroemeria. It is known for having an inflorescence formation where its flower buds arise from the center of the stem. Alstroemeria is a perennial garden plant, meaning that it can be easily planted in the garden. Under the right soil and light condition, this flower will bloom in late summer or early fall, between June and September. When blooming, alstroemeria colors are varied, but mostly come in bright shades. In spite of it, there are some newest varieties of alstroemeria that has darker shades of color, even in striped patterns. Here are some interesting facts that you need to know regarding the elegantly beautiful alstroemeria flower. The name alstroemeria comes from the name of a Swedish botanist and baron, Claus von Alstromer. He is the one who discovered this flower species as well as the first person who wrote a journal about it. Since the species was found, there are hundreds of varieties that have been developed in different colors and patterns. Alstroemeria can be planted in a vase, but it can only survive for about two weeks. Unlike other flowers that are famous for its fragrance, alstroemeriaflower does not produce any fragrance whatsoever. Alstroemeria has more than 50 varieties that spread around the globe. In its origin country, Peru, other varieties besides Alstroemeria pelegrina are Alstroemeria aurantiaca (Peruvian princess lily), Alstroemeria psittacina (white alstroemeria), and Alstroemeria aurea. In Brazil, the most popular variety is Alstroemeria caryophyllacea, also known as Brazilian Lily. Meanwhile, the famous variety in Egypt is Alstroemeria ligtu or Lily of the Nile. There is also a specific variety cultivated in New Zealand, namely Alstroemeria pulchella that if often called parrot lily or parrot flower. As mentioned earlier, alstroemeria comes in various colors. These include white, pink, red, yellow, orange, and purple. Each color of this flower represents different meaning and symbolism. In line with the general meaning of white that represents purity and spirituality, white alstroemeria becomes the symbol of the pure relationship between friends or lovers. It is usually used for wedding decorations and several religious ceremonies. Pink is often called the color of love and romance. The same rule also applies to pink alstroemeria. This flower is a perfect gift for your loved ones. It sends a gentle message that you always care for them as well as serves as a reminder of your love. Similar to the pink varieties, red alstroemeria also represents love and romance. However, the feeling represented by this flower is stronger and more passionate. It is considered a perfect gift for long-time partners or significant others. Alstroemeria in yellow color is a symbol of joy, happiness, and optimism. It is believed that when yellow alstroemeria is used as home decoration, this flower will produce positive energy for the people living in the house. 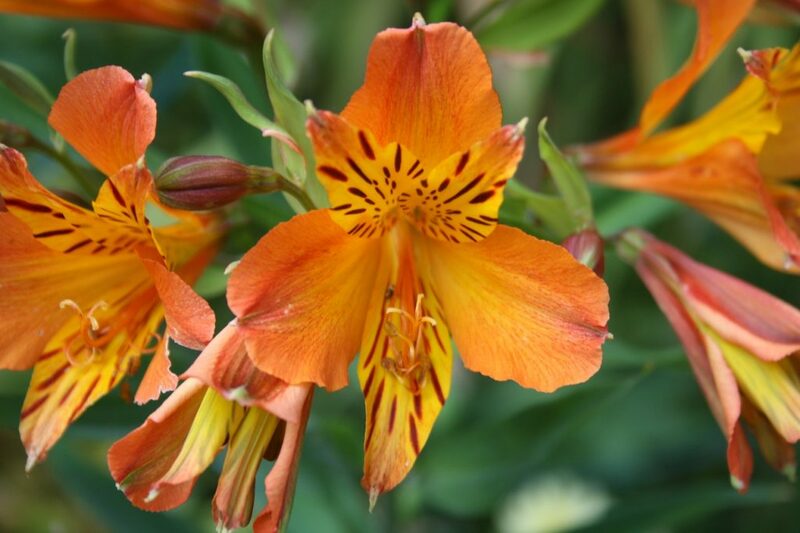 Orange alstroemeria is often used to express positivity and passionate feelings. Whether it is presented in a bouquet or used as a decoration at home, orange alstroemeria always presents fresh and positive energy to everyone. Purple alstroemeria symbolizes beauty, elegance, and gracefulness. For some people, it is also a symbol of royalty and nobility. Because the meaning of this variety is not as specific as the others, purple alstroemeria can be used on general occasions. In addition to the color symbolism, alstroemeria in general represents various messages. Alstroemeria meaning is associated with friendship, devotion, and survival. It is also used as a symbol to support or motivate someone to follow their dreams. One of the most special meanings of alstroemeria is related to its function as a friendship symbol. It is often presented as a gift to show a mutual connection between close or best friends. Despite this, the friendship meaning that alstroemeria represents is actually boundless. You can give this flower to almost anyone with the aim of giving a friendly message. Alstroemeria is not only used as a friendship symbol, but also used to express love and devotion. You can give this flower to someone who is considered an important part of your life. By doing so, you implicitly send the message that you are loyal to that particular person and care for them. Alstroemeria represents a symbol of strength and survival. This flower plays a role as a reminder for anyone to overcome whatever problems and difficulties come in life. It also sends a message to live for the future and not afraid of facing it. A supportive message lies behind alstroemeria flower. For that reason, this flower can be used as a gift to show your support. It can be given to those who experience some difficulties in their life, i.e. when your friends lose their job or suffer from terminal illness. Alstroemeria flowers will be able to make them feel better and give them hope they need. Additionally, alstroemeria has a motivational meaning. Therefore, it can be given to friends or families when they start a new chapter or journey in their life, i.e. when they have just graduated from college. This flower will send them a message to follow their dreams and seek the best things in life. 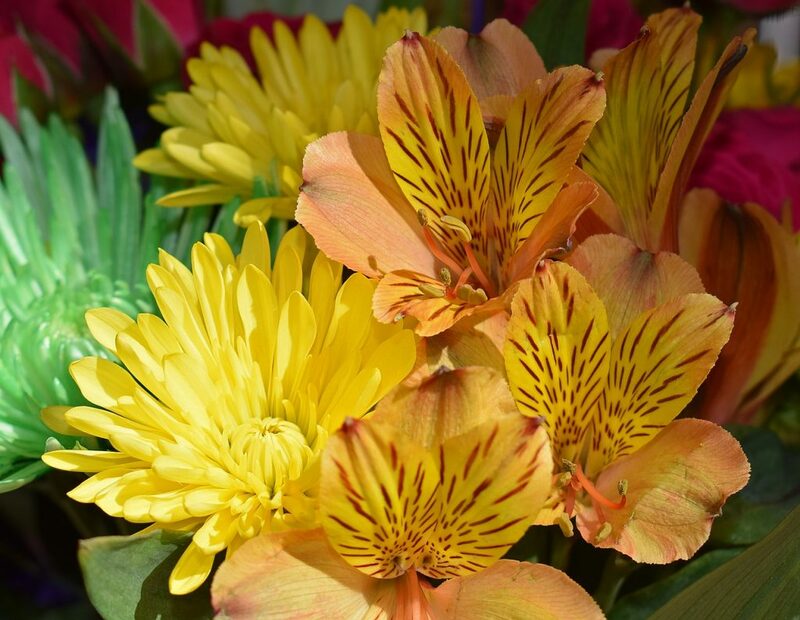 With its various meanings and symbolism, alstroemeria is a great flower choice for a gift or present. Alstroemeria flower meaning is relatable to almost any occasion. For that reason, this flower can be given to anyone in your life, whether they are a long-time friend or a beloved family member.